Next up is newly promoted Cardiff City, after strolling to three points against Newcastle I expect us to take three points in our first away game of the season. In my opinion this is going to be a tough game for Cardiff tomorrow and they will have to work extremely hard to avoid being hammered, for me Cardiff have one of the weakest squads in the league. They have made a decent signing in terms of experience in Medel and one that I believe to be a very good signing in Caulker but apart from those two and Bellamy, they are badly lacking in quality. As for us, we were superb in our first game and I would think that Cardiff's defence will be overwhelmed with the amount of quality they are coming up against. The likes of Navas and Aguero should have a field day against what is effectively, a championship defence at best. Navas in particular is going to be a major problem for Cardiff, he never stopped against Newcastle and his quality did not fade either, it is scary to think that with more Premier League experience he will get better. Only one issue for us tomorrow and that is the absence of Vincent Kompany, it makes me uneasy when Vinny is out and not just because we will miss his superb defencive skills, Vinny organises the team and breeds confidence. It will also be interesting to see who Pellegrini replaces him with, Nastasic has been training and he will most likely play but if he doesn't quite make it, who will he go with? Garcia is being mentioned as is Boyata, Garcia hasn't done bad when at centre back in pre season and against Newcastle, I however would like to see a once promising Boyata get his chance if Nastasic is not fit. Kompany is missing with the groin injury he picked up against Newcastle, Micah Richards is likely to miss out with what is believed to be a hamstring injury, Nastasic has been training and could return to the squad after suffering with an ankle injury and Jovetic is expected to be in contention after having a minor hamstring problem. Cardiff are expected to be clear of any injuries with Andreas Cornelius set to be fit after suffering with an ankle injury and Andrew Taylor is set to return to the starting line up after serving a suspension. 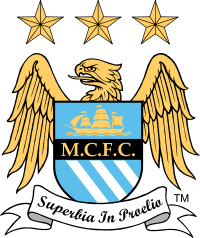 Possible Man City Line Up: Hart, Zabaleta, Nastasic, Lescott, Clichy, Silva, Toure, Fernandinho, Navas, Aguero, Dzeko. 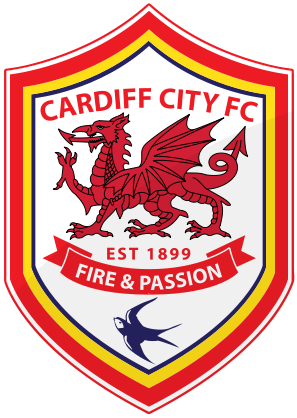 Possible Cardiff City Line Up: Marshall, Connolly, Caulker, Turner, Taylor, Medel, Gunnarsson, Bellamy, Kim, Campbell, Cornelius. My Prediction: Cardiff City 0 - 5 Man City. Worth A Bet: Navas first goal in a 0 - 5 Man City win @ 300/1. I not so sure it will be that easy for us, without Kompany/Nastic I think Cardiff at there own ground will be a lot tougher game than a truly terrible Newcastle side at our place. True I know what I wrote comes across as cocky and maybe insulting but looking at our team and theirs, then I think we should be capable of getting these kind of results against inferior teams. Are you a bit nervous about Bellamy? I am. You know he likes the ball booted at him, then he lets it bounce off him behind the defenders and chases after it? If Garcia's in central defence, there's no way he can turn in time. Talking of Navas, have you thought about renaming your blog? Robinho is long gone. Plus, he was crap. How about "We've got Jesus"? I am worried about Bellamy a little bit but I would back our lads to cope with him. As for the blog name, this has been discussed before and was decided it would stay as it was. One of my regular readers at the time suggested to keep the name as it was as a sign of where it all began, it is still something that I think about from time to time though.